Twenty-six little letters are all you need to make up the thousands of words in the English language. 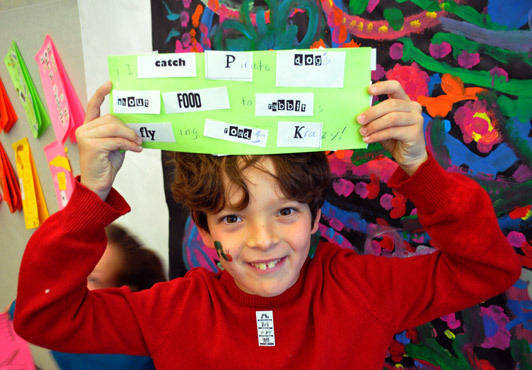 Write or illustrate a story about your favorite letter or word in a handmade alphabet book. This is a great activity for young children learning their ABC?s; early readers developing their spelling, phonics and vocabulary skills; and anyone who likes making up silly words and sentences! 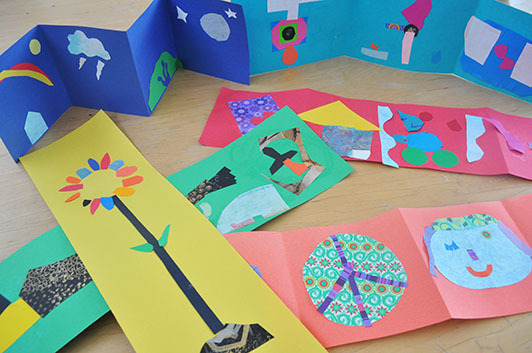 Here is a quick bookmaking project that will brighten any gray winter day! 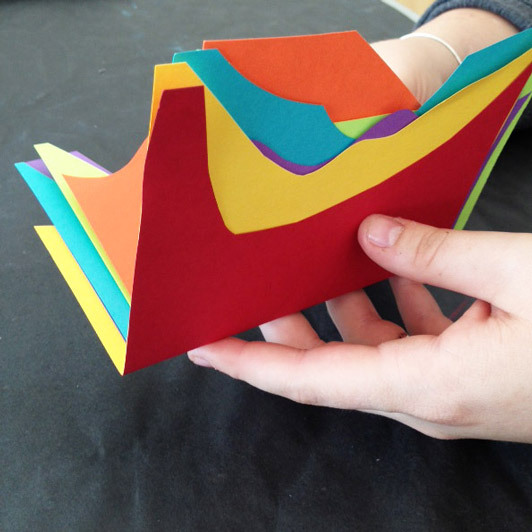 We love teaching children how to make this style book because it doesn't require any glue, tape or staples. Read on to see how! Gather four to six sheets of paper, all the same size in your favorite colors. Sometimes we use the full rainbow, other times we just stick to warm or cool colors. This vacation week, Museum guests are busy filling books with their very creative pictures. 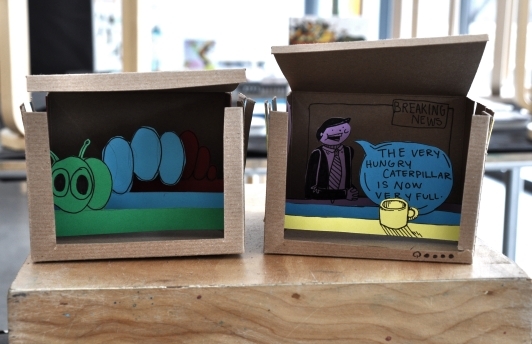 They can choose from 2 different book styles: accordion fold or stapled flip book. 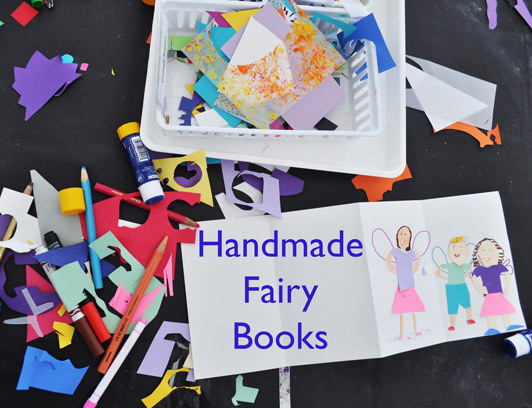 Our current bookmaking activity for The Every Day Art Program is inspired by fairies, and we've spotted fairies in many shapes and sizes. Which fairy below is YOUR favorite?